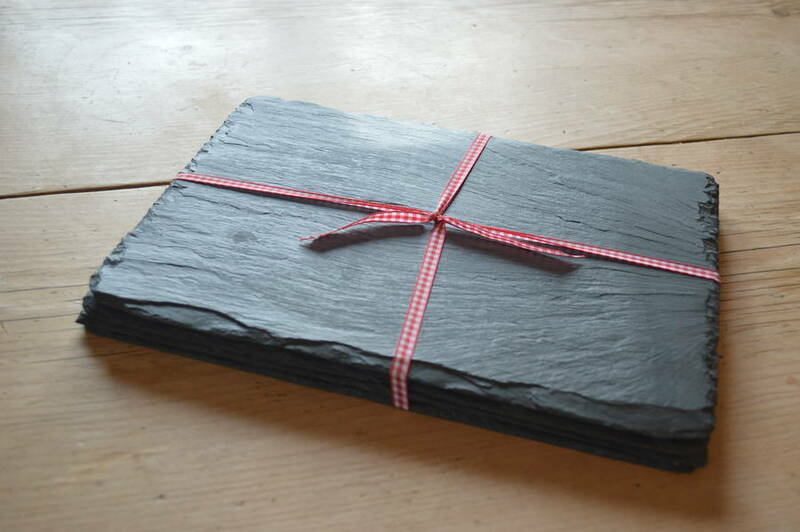 Country style placemats handmade from Welsh slate. These gorgeous placemats are handcrafted with a riven finished edge and looks stunning on any table. 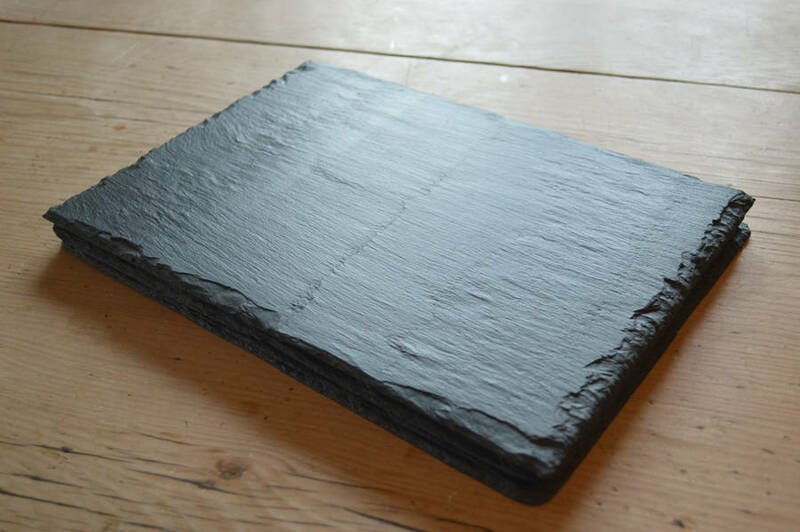 The slates are treated with oil and has black foam backing to protect your surfaces. Complete your set with matching coasters and table runner. A wonderful gift for any occasion from weddings to birthdays. The placemats comes in a kraft box tied with red gingham ribbon. Can be engraved please take a look at our 'Personalised Country Slate Placemats'. Handmade in our workshop from Welsh slate that has been quarried in the region of National Snowdonia Park, North Wales. This product is dispatched to you by Grasi.